This week in second grade we read Lissy's Friends by Grace Lin. This is an adorable story about a girl named Lissy who "makes" friends by creating them with origami. After we read the story we moved to the tables and each student had the opportunity to create an origami project. This is such a fun story time that I repeat it with second grade every year! Hello! 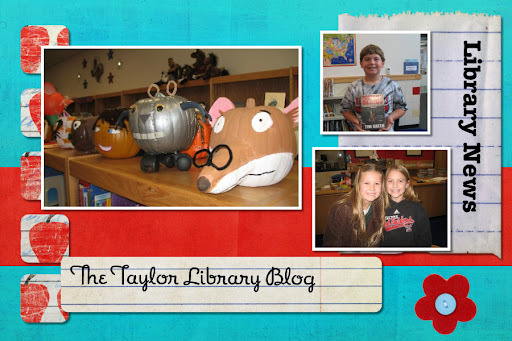 Welcome to the Taylor library blog. My name is Diana Huff and I have been the librarian at Taylor since 2008. Please visit this blog for news and information about the Taylor library, as well as to keep up to date on all of the fun things happening here week to week. I also post the books I'm reading (C.I.P. summaries are used). Who's Visiting the Taylor Blog?